I think there is an important difference between sequential body movement (which is necessary) and "telegraphing" (which is undesirable). The activation of a staged sequence of body parts is an essential component of a punch/strike/kick. Without it you would not be able to impart any real force. 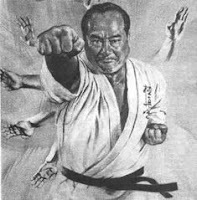 Consider the basic uraken (backfist): if you moved your wrist first, then your elbow, then your shoulder your strike would simply not work. Instead your strike must originate with movement in your shoulder, then your elbow, then your wrist. The same applies to kicks, punches and any other strike. You move from your big joints through to your small joints. In your kick the hip moves first, then the knee. In a punch your hip moves, then your shoulders, then your arm. 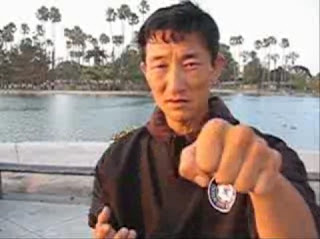 The video below illustrates this principle in the context of a reverse punch. What this means is that every technique has an element of "telegraphing". Our challenge is to minimise it. It is not useful to "bounce up" before a punch, nor is it necessary to raise the shoulder, yet I see many karateka doing it. It is easy to avoid a kick if the kicker turns his/her front foot before kicking with the back foot. You pick this up subliminally after a while. Recently however I have been made aware of an argument that chambers always constitute unnecessary telegraphing rather than necessary staged activation of body parts. By this argument, all chambering should be avoided. 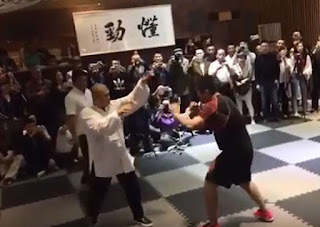 However, as explained in my article “Chambering punches”, if you freeze the frames in any ring sport like boxing, kickboxing or MMA and you'll see loads of chambers - not necessarily right at the hip, but anywhere along the arc from the hip to the ear. These are all variations on the same theme. 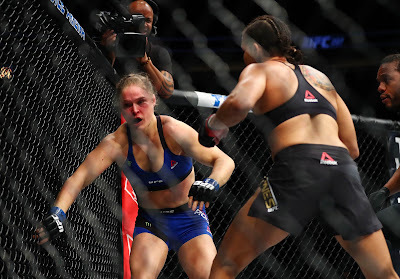 I recently had a combat sports practitioner tell me that these were examples of "bad technique". I disagree. 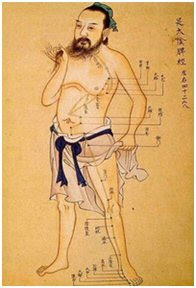 They are examples of necessary human biomechanics. Put simply, you can't get any power out of a punch unless you load it somehow - be it by chambering or by swinging (I’ll deal with swings in a minute). Both leave openings, but then again every attack leaves an opening. How and when you load for a punch or kick is called timing. Without loading you'd be walking around with stiff legs and arms doing tiny little jabs and flicks. You would never have any staged activation of body parts. So why does the combat sports practitioner think examples of "loading" in ring fights constitute "bad technique"? Because, he explained, it is not how one trains in the gym; in that situation there is little or no loading at all. The frames to which I refer show some fairly standard “air boxing” drills. Note the short jabbing punches and compare them (honestly) with anything that actually happens in a ring fight. Note the hissing breathing with every technique and again, compare it (honestly) with what people really do in the ring. Ah yes," was the inevitable response, "but it is more like applied fighting than a kata". Indeed - a little. But hardly. I think that it is highly stylised. 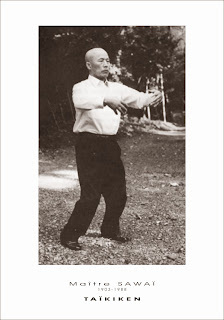 It's just that we are all more used to seeing this form of "stylised" shadow boxing than traditional Eastern forms of "air techniques". Both are "traditional" ways of isolating movements. Just like the speedball, a great part of a boxer's "air" training is nothing like "applied fighting" - it has more to do with tradition. It is a tradition we are so used to seeing that we are numbed to its disparity with applied fighting in the ring. Have someone hold a bag you're hitting. Then have them pull it away at random and watch what happens when you "hit air" unexpectedly. Chances are that you'll overbalance. You might even hyperextend joints or otherwise injure yourself. You'll be anticipating impact and relying on it to halt your momentum. In the sudden, unexpected absence of that impact your body will be thrown off balance. When you are "air boxing" you know there is nothing to stop your momentum, so you don't throw full "boxer type" punches; you pull back a bit. In other words, contrary to what an angry emailer just said to me, you can't shadow box "at full extension and full speed". It is biomechanically impossible to do any "power" boxing techniques (such as a right cross) in the air in the same way as you would do them when hitting something/someone (cf. 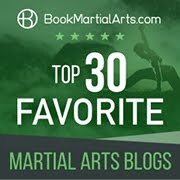 traditional martial arts where your air and impact techniques should look more similar due to "kime" or focus). Accordingly, many of a boxer's "air techniques" are typically smaller or abbreviated versions of what he/she does in a fight. A karateka's moves will often be larger (for reasons I shall go into another time). Both are using the training to extract the "yi" or concept, not to literally follow the "xing" or form. I believe both are useful and effective training methods, albeit for very different reasons. The idea that movements quite as small as “air boxing” will be applied in that form in a fight is, I think, unlikely, as any “freeze frame” of a fight will show. Rather, strikes are loaded – be it by chamber or by swing or something in between – if any power is to be generated. With kicks my correspondent seemed to accept loading as necessary; it’s just that he was of the view that a swing was the preferable loading “method”. Why swings should be preferable with kicks and not with punches remains unclear to me; in both cases swings telegraph far more than any chambered (ie. bent elbow/knee) loading. Swings are also far slower in terms of reaching their target, even if the maximum velocity ends up being higher due to greater distance travelled. 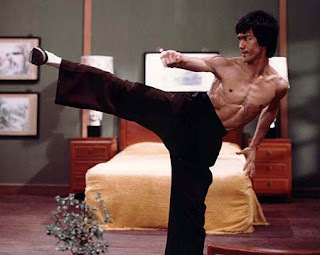 However, the biggest problem with swinging is that it is inapplicable in the case of front kicks; while you can swing a roundhouse kick at your opponent’s thigh, swinging a front kick is practically useless (except in the case of the marginally useful taekwondo “axe kick”). 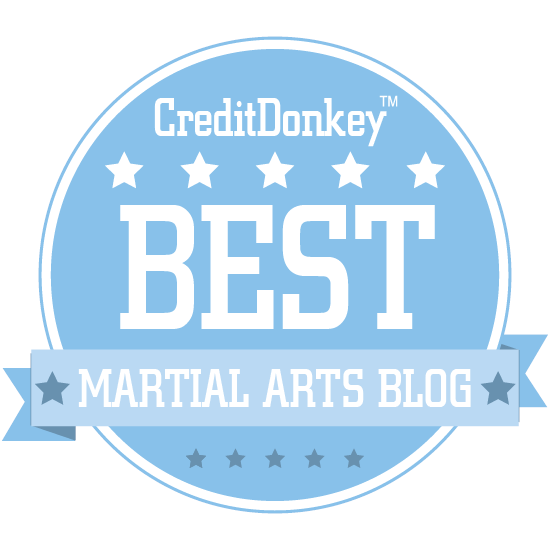 Even Muay Thai’s “teep” or pushing kick must proceed from some sort of bent knee “chamber”. That chamber is typically the same as any applied front kick; the only real difference is the distancing and penetration depth (note my article “Visible force vs. applied force” for a detailed discussion of this particular issue). Accordingly I am of the opinion that we should practice minimising our telegraphing. We might be able to do so until there is practically none that can be usefully discerned. Eliminating it altogether is however impossible. And dispensing with “chambering” of techniques on the basis that they “telegraph” is, in my view, misconceived. What a coincidence! 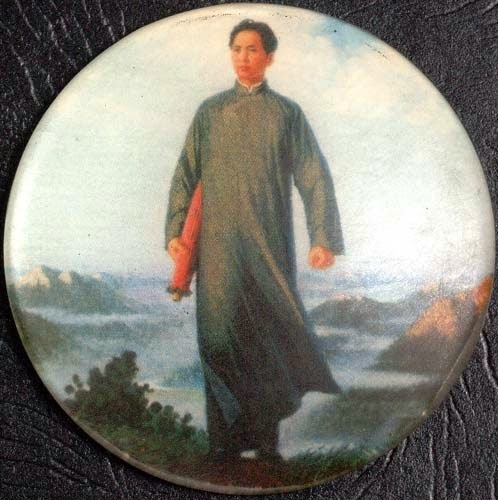 I was just comparing politics to martial arts in my own blog when I ran across yours. I've been out of training a while, but this is a fine post and an interesting blog. I'll be back! Thanks for the kind words Matt. I'll be sure to check out your blog!